What do the players need to get out of the session? What is the role of the first defender? 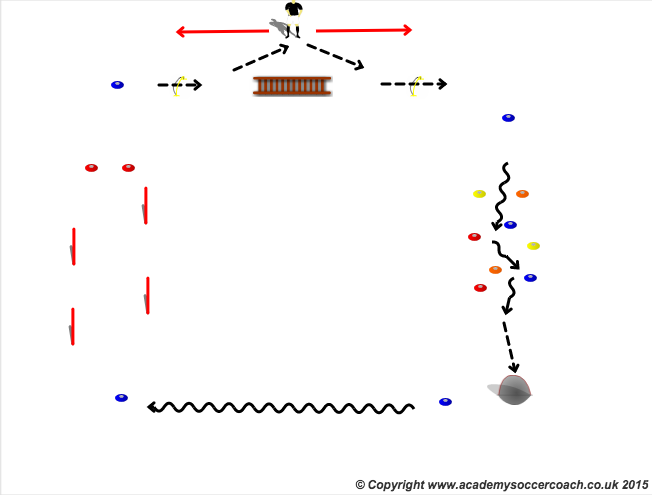 What is the role of the second defender? Half of group completing circuit, other half playing 4v4/3v3 for 6-8mins.